Three years in jail and a BIF 300,000 fine is the sentence that was given to Melchiade Nzopfabarushe this April 30 over accusation of delivering hate remarks. Melchiade Nzopfabarushe: “My speech was misinterpreted for political reasons”. It is 11: 30AM in the central prison of Mpimba , Nzopfabarushe Melchiade tuns up accompanied by his attorney. After 10 min of consultation with him, some members of Bujumbura court of Justice come and ask Mr Nzopfabarushe to give back the memorandum which he signs with hesitation. At around 11:50AM, the trial began. Aristide Nsengiyumva, the public prosecutor of Bujumbura, accused Nzopfabarushe of giving hate remarks. 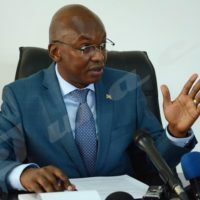 Threats of attack against persons, alarming the population by threats of danger to life, false rumors of a nature to affect the internal security of the State, and damaging accusation are the main infractions that the public prosecutor of Bujumbura says Melchiade Nzopfabarushe has committed by violating Article 493, 494, 625, and 264 of the criminal code. After a one-hour-discussion during which the accused tried to convince the court to deal with normal penal procedure, his plea was rejected. “The trial has to be dealt with as a flagrant case,” says the public prosecutor arguing that the case is likened to public clamor. He added was the trial should not be adjourned as there was no need of witnesses. Nzopfabarushe with his attorney tried to prove his innocence saying the speech was delivered for political purpose and misinterpreted by political opponent. 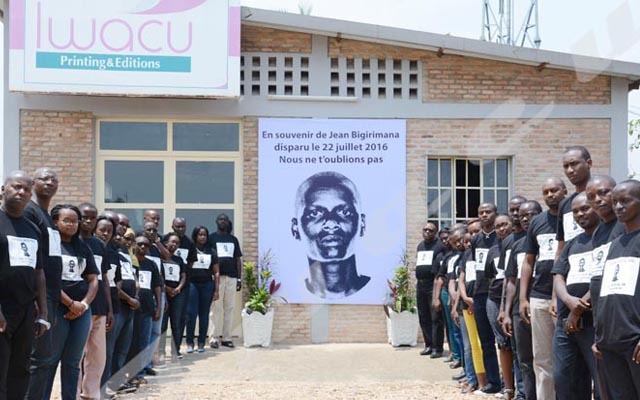 The public prosecutor has asked Bujumbura Court of Justice to sentence him to 6 years in prison with a BIF 300,000 fine. As for Diomède Miburo, a lawyer from CNDD-FDD party, to which Nzopfabarushe belongs, asks for damages. “CNDD-FDD party asks a sum of BIF 1million because he tarnished its image by using it”. After a few minutes of deliberation, the verdict was reached. “He has to stay in Mpimba for three years and pay BIF 300,000 as a fine”. Nzopfabarushe’s attorney has said he is not satisfied with the verdict.“I will file an appeal,” he has said. Nzopfabarushe was arrested on April 29 after a short video in which he is seen delivering hate speech in Migera, Kabezi commune in Bujumbura Province on April 15, 2018, went viral on social media. IWACU English News - Copyright © 2019 - All rights reserved. Reproduction strictly prohibited without the express permission of IWACU Press Group.